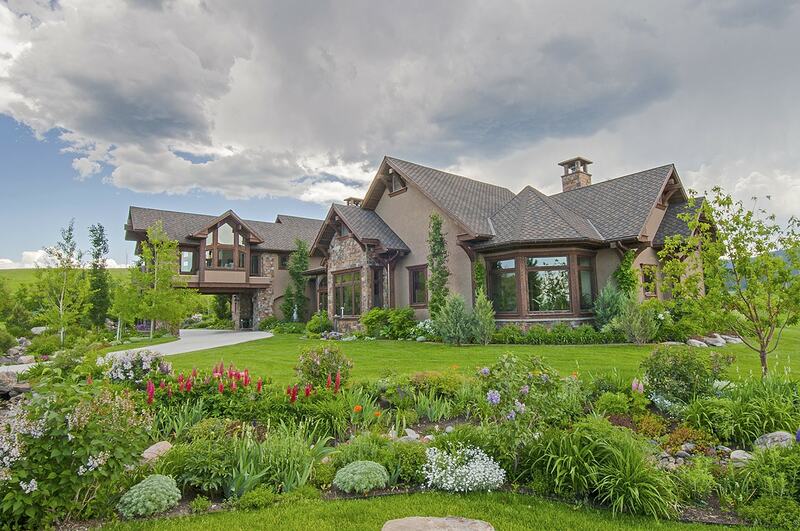 An ideal 4-bedroom home located in one of Bozeman’s most desirable, established neighborhoods. Very peaceful and quiet, yet 4 miles from Downtown and just down the street from Tuckerman Park. Backs up to Open Space with Limestone Creek in yard. All remodeled and updated in 2006 with 2 great rooms, circular floor plan, main floor Master Suite with sitting area, two walk-in closets, double vanities, Limestone flooring, door to private deck. Living room Great Room has wood burning fireplace, birch wood floors on main level, picture windows to capture the awesome views. Kitchen Great Room includes formal and informal dining, work station office,granite counters with alder wood upper and lower cabinets, spacious kitchen island with bar sink, all Kitchenaid Stainless appliances with 5-burner cooktop and double wall ovens. Large family game/media room, 3 bedrooms upstairs with one a Junior Suite. Outdoor entertaining with back and front patios. Home office, laundry room, mud room. The two-story, 4,100 square feet, four bedroom home is set back from the street with a cement-bordered asphalt drive, and framed by mature landscaping. The exterior is a combination of easy-maintenance sage green hardy board in a lap pattern, offset by shingles painted a rich cinnamon brown. A deep grey-green is used as an accent color on the 3-car garage doors and as edge trim, while charcoal-grey clad windows unite the color scheme. The classical architecture of the home includes interesting features such as a bump-out in the front exterior to form two cement-floored porches. Enjoy sunsets from the covered front porch’s roomy sitting area. It connects to a private porch with an arbor trellis roof that is accessed from French doors in the family/media room, creating a natural flow for entertaining and outdoor activities. frame the living room fireplace and provide a view of the back yard’s trees, sky, and endless possibilities.